1) Feministified writes an open letter to Planned Parenthood. 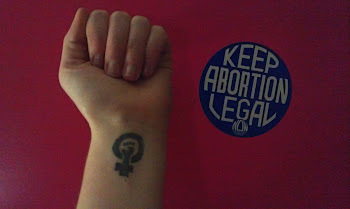 2) Our Bodies Our Blog reminds everyone to Walk for Choice. 3) Womanist Musings: Rush Limbaugh, Ms. Obama and Fat. 4) Say It Sister defends Lara Logan from classic victim-blaming. 5) RH Reality Check: Tampons are bloody evidence in Georgia.